Here's the rub. The i/o26 and i/014 work and work very well under El Capitan with the existing driver. I had to disable the root system integrity...and I used it non-stop to record a jazz festival that went for two days. Just get Apple to sign off on the existing driver, and call it a beta. Does Apple charge vendors to get drivers approved? Is that the problem? The dollars? Can you tell me more about disabling root system integrity? How do I go about it and are there any related risks for disabling? SIP (System Integrity Protection) is system security that makes it harder for an attacker to gain control of your system. It's generally recommended to be enabled. There is minimal risk to disable it for the time it takes to get the driver working before enabling it again in the the final step of the instructions below. 5. Terminal should display a message that SIP was disabled (enabled in step 8). 7. Setup and check your Alesis FW driver so that it's working. 8. Re-enable SIP by following steps 1 - 6, but in step 4 type: csrutil enable. Here is an image of the Terminal window after suss fully entering the command. Thanks for that quick reply with all of that info. So, if I understand correctly, I can disable SIP, get the driver working, then re-enable, and the interface should still work? Or would I need to disable SIP each time I am using the Alesis firewire unit? It should just keep working... That's what everyone has been experiencing. Yes. You're a hero. I owe you a beer. Lovely that Alesis knew that but preferred that I throw my piece of their gear in the trash. okay so.. I have a firewire multimix 16 and I have two mac computers. one has an old version of garageband, and my firewire soundboard works with it. my macbook has the the el capitan version and the newer version of garageband, but does not read my firewire soundboard... i'd love to be able to record stuff onto this garageband, and i'm not exactly the most "tech savy" guy out there. This fix worked for me for a few weeks on my io14. Stopped working today. Repeating the procedure didn't work this time. Any further tips? It's so frustrating because I know everything still works. Any update on when the Multimix 16 firewire will work with El Capitan, as it is I now have a paper weight on my desk beside my Mac. Brownbag; is there any other way of getting around this issue as judging by the latest few articles I have read - it could prove to be a very costly procedure to my mac. Hi BB I thought you were the one with the command line work Around for the io26? That io14 and 26 are some of the rare exceptions of interfaces that will let you bypass the onboard preamps by using the inserts- I've NEVER had to think about my io14 it just always worked...flawless. Now im sitting here with a new instal of logic X a new MacBook pro and no way to get in the box lol--im going to try the command line work around mentioned in a previous post. Anyone else try this? This worked for me on my Multimix 16FW on my Mac Pro on El Captain 10.11.3 - Logic Pro x 10.2.1. It is a drag that we have to do this. System integrity protection is an important key in the fight against malware drifting into the OS, and disabling it is a brute force solution, but if we want to use El Capitan, (and we do, since the graphics performance is that much better) we have no choice unless Alesis decides to submit the driver to Apple to sign off on the kext...as it exists right now! We already know it works, and works just fine.... I'm starting to wonder about this company that the Alesis brand was absorbed into. Do they have ANY of the original coding team? Do they farm all of the software development out to 3rd parties? If we are really passionate about keeping these sterling pieces of hardware going, we are going to have to dig a little deeper... BTW, for the present, I disable SIP when I have a session, and then enable after I'm done. PITA, but it works. you have a genius over your head, nice one, thanks worked like a charm. hey chris, can you just get the drivers signed and re-release them please. this is a joke. I don't make the drivers. I simply monitor the forums and help with rectifying common troubleshooting issues or steer you in the right direction on how to get help. As I've posted before, I will not have advanced knowledge of drivers until they become public nor know how to rectify driver signed and released. Please check back on the appropriate product pages for any updates. Chris, where is the proper customer service for this issue? We bought your product because its a "firewire" soundboard.. and here we are with stuck with a very disappointing piece of junk. My father owns a large newspaper; he and I are very frustrated by this issue; as we use this soundboard for conferences, and interviews, etc. It would be a shame if I had to promote this issue in the paper. Imagine if Alesis got a bad name, all because they won't provide proper customer service. We bought a firewire soundboard, and it doesn't even work? Are you Kidding me? Chris...we are EXISTING Alesis customers with an issue. Please supply contact information for someone who can actually make a decision for us. We expect results expeditiously. This comment was removed on 2016-02-26. I have tried the above mentioned fix of "csrutil disable" into terminal when loaded onto the repair disk and now works perfectly. Happy user with fix to the above problem. 2nd question: are (or rather were) you using the HDM control panel? I really need that! As it seems that ALESIS is simply unable to recompile its drivers, maybe they need some infos on how to get code signed ? This reply was removed on 2016-02-26. Then you or the people shoveling the talking points to you are really missing the point...and I'll make it in all caps: YOU DON'T NEED TO "DEVELOP THE DRIVERS". The existing drivers WORK JUST FINE! Just get them signed off...and for the record, the existing Windows driver works in Windows 10! You just need to get the existing Apple driver signed. No development, no work, no precious time taken away from developing your next amateur toy, just get the existing driver signed. Do you understand that?????? 100% agree - The whole thing shouldn't take more than 30mn ! Amazing ! One more chance with these folks...then I'm off to Gearslutz with a blistering attack on this corporate monstrosity that has completely annihilated what was one of the most innovative brands in affordable digital audio technology. Hello Everyone, The <b>Alesis MultiMix FireWire</b> series mixers were discontinued a number of years ago. We can confirm there was no on going driver development for these products. The 08/2011 driver for Mac OS 10.8 is the final release for this product. The most recently supported operating systems for the FireWire series are: • Mac OS X 10.7 and 10.8 operating systems • Windows 7 operating systems We understand this will disappoint some, but officially we will no longer be developing future drivers for this discontinued series of FireWire mixers. I suggest all of us that have been screwed by Alesis go on Amazon and give bad ratings to all of their products. We'd be doing a favor to future customers. Perhaps, (and more constructively), we can build a case and go directly to Apple to get them to make an exception for this kext. Interestingly (and I'm sorry I didn't mention this sooner), one of my computers is not a fresh El Capitan install, but an upgrade from Yosemite...the upgrade allowed the Alesis driver kext to exist in the "approved pile"! What say the rest of you? Hi - mine too is an old iMac originally on Lion - now running El Capitain. I was one of the first to main about this problem with my Firewire mixer following the El Capitain upgrade. Alesis just don't seem to care. Nothing has happened for months now. I gave in and bought a new mixer - guess which brand I did NOT buy! Alesis are the losers here. I will never buy another of their products again. Good luck with Apple. It's a good idea if you can get a solution. I wish you every success. I think we should correct ourselves on one thing. Alesis is no longer Alesis. It is a brand name that exists within a larger corporate context, and the brand name has been completely repurposed. Gone is the "low investment, high return" range of professional products. It is now a nomenclature for amateur toys that can be marketed through environments like Guitar Centre. I am certain the design team that made up the original Alesis has been jettisoned long ago. I'm not complaining about that...it's their ball, and they can do with it what they like. I'm not even complaining about their refusal to "develop drivers" for long discontinued hardware. In and of itself, understandable, especially when they probably don't have access to coders except on a contract basis...a potentially costly proposition, especially when you are dealing with a relatively small installed base. Nope, what infuriates me is the irrefutable fact that THE EXISTING DRIVER WORKS GREAT, and all they have to do is sign off on it. A simple gesture of good will, and a sign that they are interested in how this brand name is currently received in a highly competitive marketplace. Instead, they are giving us insight into how the InMusic (the parent company) corporate mindset works. As it is right now, products from Alesis, M-Audio, Akai, Alto, Denon pro audio, Air, and more are off my list of potential vendors, no matter how compelling a product may be. Guys-again has anyone else tried this?? This works perfectly for me so far! The only thing I can't seem to solve is how to run the HDM control panel. I really NEED that for my band. Any ideas? Maybe set up a secure forum or email it to everyone..? Is it really a hole? Or just a fix? The drivers are working and are legit. Apple might also see it as a way to improve SIP so safe, formerly signed, and properly working legacy drivers like this one pass muster. You'd be doing us all a big service by sharing so we can keep using the gear and still keep our systems safe. Hope you decide to share. If they do patch in response to stop the workaround, we all still have the option of manually shutting down SIP. This is such a drag, I've been looking and there aren't really any good alternatives to these interfaces on the market. They all have less functionality or fewer I/O channels. I emailed in and a silupport guy replied that they're not doing firewire because it was old and USB 3 is the thing _ even though alesis still has firewire gear on the market and I can't find any USB 3 gear of theirs. And 400/800 has 24 bit and is plenty fast. Music is a world where people hang on to old gear forever because it's got some kind of unique character, function or tone. Old drum machines, pedals, analog synths, 60-year old mics, audio units and samplers... I still have a power pc running a legacy version of GarageBand and logic because the waveform editor and drum pattern software is better than GBX - which had to be jiggered to get old jam packs to work and apple provided support even though the new GB was built to get people to buy new ones. I'm still using midi gear from 20 years ago and pick up vintage stuff all the time that rocks - thank the ghost of Les Paul no one has messed with that standard. All version until Capitan work fine. OK...everybody on this thread...send an email to alesis-solution@tonehenge.net with "I want the solution to the Alesis FW El Capitan problem" in the subject header. Please, be discrete. I actually don't know if Apple would see this as a blunder on their part...but I'd hate to see this solution paved over. Does it function with "clean install"? what's happening, are you keeping it a secret? Done properly, never an issue. Did you miss-type something in terminal? I opened it to a tremendous amount of code. Should I enter it at the end? I was uncomfortable disabling protection or integrity. The other guy said do it at your own risk. I bought new stuff. But I did have the work flow with the firewire down. OK...apart from Michael's odd report at opening terminal, how have the results been for the 14 folks who inquired about my solution? Will need some time and an extra HD to try. Didn't install El Capitan yet. Will work for os 10.10.5? Sorry of im not seeing the answer to this is the thread. The issue we are discussing is germane to El Capitan (10.11) and future OS X releases, thanks to the twin issues that are "System Integrity Protection" introduced by Apple, and the InMusic (Alesis) policy of not supporting their legacy products. The 3.5.6 version of the io26/io14 driver works with Yosemite as it sits right now, without the need for modifications to the installation. Well I appreciate the response but it ISNT working - it recognizes the Io in preg panes with logic and on my system but it will not register an output - audio is passing and being recorded- apple loops work as intended but my incoming guitar signal is not outputting thru both phones a like the apple loops etc. You cannot hear the effect of the virtual Amps or any change in my signal- you hear my signal but it is not being processed- any advice? That is a completely different issue to what we have been dealing with in this thread. You're Alesis is actually being recognized by your DAW...the issue we are discussing has to do with the firewire driver not being installed in El Capitan because it doesn't have a current signature. What I would suggest is downloading an alternate DAW to test with...Reaper for instance, and see if audio is passing that way....just so you can rule out a problem with how Logic is setup vs a problem with the interface. In any even, your issue, sad as it is, is just a bit off topic as far as this thread is concerned. Agree your problem is not the issue we're dealing with. Gee you agree it's different- wow I don't know that- it's not THAT off topic and fyi it doesn't work and I should be able to get answers if I ask- sorry if I didn't pay attn to every single thread- I have other things going on dont you? Sorry to hurt you maybe someone will help you, good luck. There is no need to get the knickers twisted. I just like forum subjects to stay on point. Does anyone know if this Will work for os 10.10.5? Sorry of im not seeing the answer to this is the thread. YOU CAN TRUST @brownbagmusic ! Just tried his solution, worked like a charm. Quick, easy and secure. @Chris from Alesis : tell your company that it's a shame to music manufacturers, your attitude for the past few month have just been disrespectful to your customer. @Everyone angry : Please let me know if some actions are taken to take Alesis down and let everyone know about this shameful attitude. I want in. YOU CAN TRUST @brownbagmusic ! Just tried his solution, worked like a charm. Quick, easy and secure. @Chris from Alesis : tell your company that it's a shame to music manufacturers, your attitude for the past few month have just been disrespectful to your customer. @Everyone angry : Please let me know if some actions are taken to take Alesis down and let everyone know about this shameful attitude. I want in. Just in case you all find it interesting, I have followed the SIP-disabling process described in this thread, to get my io26 working on El Capitan again. But I have also discovered that if I reverse the procedure and turn SIP back ON again afterwards in Recovery Mode, then El Capitan still recognises my io26 when I reboot my Mac. While I am no expert on the inner workings of OS X, It strikes me that El Capitan simply freezes the kernel information at the point that SIP is enabled, so that no further changes can be made. It might work for you too? Can anyone else verify? Just in case you all find it interesting, I have followed the SIP-disabling process described in this thread, to get my io26 working on El Capitan again. But I have also discovered that if I reverse the procedure and turn SIP back ON again afterwards in Recovery Mode, then El Capitan still recognises my io26 when I reboot my Mac. While I am no expert on the inner workings of OS X, It strikes me that El Capitan simply freezes the kernel information at the point that SIP is enabled, so that no further changes can be made. It might work for you too? Can anyone else verify? 2. Uninstall the Alesis FW driver using the uninstaller that comes with the 3.5.6 Mac driver. Thanks,! In my case I didn't need to reinstall the driver. It just worked after disabling SIP. After reenabling SIP, it continues to work. Hi, I'm not technical by any means (far from it) - is this procedure easy to do? I know nothing of Terminals & code - the last thing I want to do is destroy my new Mac. BTW well done on resolving this issue, shame Alesis weren't on board to support. Thank you that's perfect. The mixer is working !!!! Hi, I'm not technical by any means (far from it) - is this procedure easy to do? I know nothing of Terminals & code - the last thing I want to do is destroy my new Mac. BTW well done on resolving this issue, shame Alesis weren't on board to support. Yes, it is an easy procedure. Improper use of Terminal can seriously screw up any Mac. But when used correctly, Terminal is helpful to tweak your system. Ok, I'm going to sound like a moron but here I go. I can get into recovery mode but no sign Tetminal? Only options for disc recovery, partition, etc? It's in the Utilities pulldown menu. You may say "We no longer provide free drivers updates..."
Why You don't sell the driver's updates? I think it will be a god deal for all!!! Do not hate customers. We make you! Hey Alesis people. You may say "We no longer provide free drivers updates..." And make it easy for everyone Why You don't sell the driver's updates? I think it will be a god deal for all!!! Do not hate customers. We make you! This is not a defence of this company, but rather, a cold statement of fact. InMusic is not the Alesis that we knew and loved. They purchased the branding...that's all they were interested in. Chances are all the coding went into the dumpster when the old staff were given pink slips. OK should have read the WHOLE thread before send the email. It's a crying shame. I have an SR-16, Multimix 12, iO14, trigger IO, QX49 midi keyboard all from Alesis. I think the gear is great. Once again a crying shame that they just can't sort out a simple problem. OK should have read the WHOLE thread before send the email. Good work from all on here (except the Alesis people) It's a crying shame. I have an SR-16, Multimix 12, iO14, trigger IO, QX49 midi keyboard all from Alesis. I think the gear is great. Once again a crying shame that they just can't sort out a simple problem. Just to reiterate...this company purchased the Alesis brand name. They want to benefit from the brands market penetration without being held responsible for the commitment to purchases from the prior incarnation. InMusic is just a corporate behemoth... The Alesis that engineered and manufactured the product that we own simply vanished...they went out of business. The Alesis that you are trying to communicate with today are a completely different entity. I'm NOT defending them...it's just the way the ball bounces. We all wish they would feel any kind of responsibility to prior Alesis customers, but.... la te da. an Alesis MultiMix8 FireWire here, thank you for quick fix regarding driver missing. I m using Yosemite 10.10.5 and my device isn't easily be seen. Just want to thank you for the tip. Hey, guys, an Alesis MultiMix8 FireWire here, thank you for quick fix regarding driver missing. I m using Yosemite 10.10.5 and my device isn't easily be seen. Just want to thank you for the tip. for me, unfortunately, the procedure of temporarily disabling csrutil does not persist. works for a few reboots, then my alesis multimix 8 fw is not seen anymore. after about a week, el capitan starts complaining that there is something wrong with the kext. i don't get why it works for a short while. in any case, should i not get that error straight away? i didn't do any sys updates and had this same run of failure twice. I have had this working on El Crapitan for about a week now, I hope it doesn't suddenly stop working in the near future, with my Multimix 12 Firewire. I need to boot the Mac first and when it's up and running I turn on the Multimix. I also made The Multimix my input and output in system preferences. If I turn on the multimix first it doesn't work. Did you re-install the Alesis 3.5.6 driver whilst your Mac was in "crsutil disable" mode? Hi, i tried again, making sure i stick to your advice to turn on the mac first and then the alesis. i have the same results. after working perfectly appr. 7 days ago, today i do the same as always and the multimix simply is not showing anymore. i don't get what my mac has changed so it suddenly stops working. i have made no updates or even installed any software within the last month besides the alesis drivers. I'm sorry that this is not working for you. My iMac and Multimix Firewire have been working well for about a month now. Is it true to say that when you do the fix then about 7 days it doesn't work. And if you do it all over again the same thing happens 7 days later? Apple may have plugged the hole, as I feared they would. Just upgraded my studio computer (don't worry, the Alesis units don't get regularly used here) to 10.11.5, and it didn't recognize the io26 kext. I'll try the formula later as I have to go to work...but I think this may be the end of the line. I'll let all of you know...in the meantime, don't upgrade the os! I have a dream: One day Apple will buy InMusic and we all will be satisfied an all interfaces will soon function again. Phew! Good news... uninstalled and then reinstalled in accordance with my prescription, and everything seems good. That is really good news! Thank you for giving feedback! Never was that happy since long ; ) Due to the update of Logic Pro I upgraded OS X to 10.10.5 and with the described procedure all functions as expected!!! Hey brownbagmusic, I'm glad it still works! Yesterday I bought the io26 on Ebay, so happy to have it. After being disappointed about the discontinuity on OS EL Capitan I fixed it with the "disable SIP" (system integrity protection), since yesterday woking fine. Probably will run the "advanced version" too. But my actual main concern is about the HDM CONTROL PANEL: I really NEED the monitoring software for my band in live situations, otherwise the interface is only worth the half! Do you have experiences with that? Did you see my comment about HDM included in the v.3.5.6 driver download? This reply was created from a merged topic originally titled MasterControl Drivers for OSX El Capitan. We Need Drivers for the MasterControl to work with OSX El Capitan. A lot of studio owners are using the Mastercontrol with the new Logic Pro X like me and the new Pro Tools. Please Honor the many of us who have been with Alesis Since their very first Products. I own the Alesis Mastercontrol. Within El Capitan the Mastercontrol isn't seen by Apple. So I fixed it in accordance with the prescription of Brownbagmusic. Can you point me to that workaround you mentioned please? <em>This reply was created from a merged topic originally titled <a class="notranslate" target="_blank" href="http://community.alesis.com/alesis/topics/mastercontrol-drivers-for-osx-el-capitan">MasterControl Drivers for OSX El Capitan</a>.</em> We Need Drivers for the MasterControl to work with OSX El Capitan. A lot of studio owners are using the Mastercontrol with the new Logic Pro X like me and the new Pro Tools. Please Honor the many of us who have been with Alesis Since their very first Products. I bought a new MacBook Pro less than a month ago to run GarageBand and bought a new MultiMix8 USB 2.0 FX the next day. It turns out that the mixer is not compatible with the new El Capitan 10.11 MacOS. Miy Mac is running the latest El Capitan 10.11.5. I checked the Hardware testing page on the Alesis' site and they aren't even testing the MultiMix8 with it yet so no timeframe for when it will be supported. - via the Mixer Monitor outs (one of the main reasons I bought the mixer). Return it if you can! There is a reasonable workaround, but going forward Allesis isn't the way to go as they are not supporting their hardware. Thanks figshta for the quick reply! Unfortunately, mine is not the FireWire version of the MultiMix8 referenced in this thread but rather the USB version. Would you still recommend I do these steps? NOTE: I tried the Command-R and the progress bar seemed to freeze right after it started building and never finished so I bailed on that idea. What other 8 channel mixer products would you recommend I buy instead? These steps allow you to setup the unsigned driver. I presume your trouble is with getting the system to recognize your device... It needs the driver, but Alesis didn't bother to register with Apple to code sign their driver to meet Apple's security protocol. I think it should work for your USB mixer if it's just the driver issue. 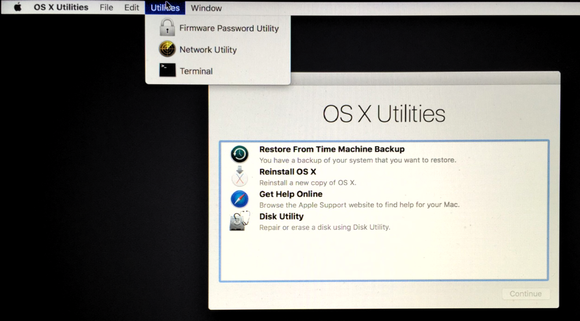 Either way your Mac should boot into recovery mode. That's a different issue. I'd try again and be more patient. Cool! I'll wait for the boot into recovery mode longer. But yeah I think I will try to return it. According to the Alesis website, the multimix usb is "Class Complient". This means it should be recognised without the need for a driver. So the firewire workaround would not help you. I'm not totally sure but the Alesis HDM software might help you out. (Hardware Direct Monitoring) I seemed to remember a similar problem when I tried my old multimix8 usb some time ago although this was before El Crapitan. Joe, I got out my old Multimix 8 USB (grey front panel) just to give it a try. I'm using an iMac with Capitan 10.11.4. When I plugged the multimix into the usb I could see "USB Audio Codec" when I looked at System Preferences>Sound. So I selected that for both input and output. Using headphones in the multimix I could hear sound from my soundcloud web page. I then fired up Garageband and in the audio preferences I selected USB Audio Codec for both input and output. I was able to record thru the mixer and also hear playback in my phones. So it all works fine for me. But you have to push the switch on the mixer for 2 TK monitoring. Did you do that? Also make sure to make USB Audio Codec is your Output preference in GarageBand. Hope you can get it working. It is not an issue with drivers. Pressing the "2 TRKS/USB to Monitor button" did the trick! Man I feel like an idiot. Now the signal passes as it should from the Mac back to monitors and headphones connected to my MultiMix8 2.0 USB FX. I'm glad you got it working! Sorry, I wasn't more helpful... I guess I helped you waste your time. I wonder why Alesis doesn't support El Capitan when it works... They will soon be three versions behind! If it doesn't need a driver then why don't they say it is "Class Compliant" on their hardware testing page? Good one Joe, I had a feeling that was all you need. At last 1 happy Alesis customer. Yesterday bought the io26 on Ebay, so happy to have it. After being disappointed about the discontinuity on OS EL Capitan I fixed it with the "disable SIP" (system integrity protection), since yesterday woking fine. Probably will run the "advanced version" too. But my actual main concern is about the HDM CONTROL PANEL: I really NEED the monitoring software for my band in live situations, otherwise the interface is only worth the half! Can someone help me with this??? Is there a workaround for the missing installer on mac??? When I downloaded the driver from the Alesis site the HDM software came with it. Is the HDM not included in your download? Hey Pete, thank you for the quick reply! I am so sorry for posting my quite dumb question, I just didn't see the hdm driver. Got it working now! Though I have a new problem: I'm using the Alesis io 26 now (and love it for it's huge possibilities) and a Alesis VI61 keyboard. Even though from the same family, they seem not to like each other because for some reason the keyboard stops sending MIDI signal to Ableton. That didn't happen before using the HDM control panel! Have you had that happening? Sam, I actually use an Alesis QX49 keyboard connected with USB and have no problems. I don't use the HDM anymore because I now use the Multimix Firewire mixer. Are you connecting with a midi cable into the IO26 or USB into the computer? I'm sorry but I can't really see why the HDM software would screw up the keyboard unless there's a hardware problem with the IO26 MIDI port. I can't do this right now, but I have an IO14 which is a half size version of the IO26. I'll connect it up when I have the time and see what happens. I don't use Ableton. I use an online collab software DAW called Ohm Studio. I guess it has to do with my USB port. I connected the Keyboard with a different cable, since then it's working. I'll check out the Multimix Firewire. What are the advantages of it in your opinion? Thanks to BrownBagMusic and figshta for the handy step by step precis...I have my Alesis multi mix 16 back in action. I will also be looking elsewhere for gear in the future. I have been very happy with the unit, but this experience has given me enough grey hairs! The main solution is to throw away my io14 and never ever buy anymore Alesis products. Hi Chris D and everybody else at Alesis, if you're able to point out your understanding of the disappointment of your customers and being the sole entity to solve it and not to act to it, it seems to me you're just being plain rude and don't care about it. Devaluating the products of your customers by cutting down support is not a very gentle way to say goodbye... The main solution is to throw away my io14 and never ever buy anymore Alesis products. That's kind of what I finally did 2 months ago. I listed my Alesis MasterControl on EBay with a very clear explanation that it will not function after certain os versions. Once it sold I spoke to the person that purchased it to be sure they understood and they said yes but still wanted it. Once that was verified clear to spend the money they paid I got a Behringer X Touch which is usb class compliant and not drive dependent. I used to LOVE Alesis gear beginning with the original MMT-8 and HR-16B through the Fusion 6HD, QS6, QS6.1, DataDisk, the EPROM updates for the HR-16B and DataDisk which added Great New Features and Functions, the Reverbs and the ADAT and BRC. I still believe the MMT-8 would make for a hands down ULTIMATE MIDI and AUDIO Sequencer/ DAW if ever reborn in a hybrid hardware and software product. Imagine a controller that blends the hardware of the MMT-8 and HR-16B that can function independently and when connected to a computer functions as the controller for the software version. BKE's BEAT THANG unit almost got it right. You think it's going to "disappoint"? Seriously? No, it's going to alienate and anger us beyond belief because you are simply too cheap and lazy and greedy to do the work that allows us to continue to use perfectly good hardware we invested good money in -- hardware that works just fine. If you told us you were LEASING it to us for a short while, we would have made other choices. If you charged us $25-50 to provide updated drivers and presets I could understand that, even embrace it. But why the **** should we throw away perfectly good hardware that we like and have already paid for? Think we're going to buy new hardware from YOU to do the same job after that? I take good care of my gear. I go to lengths to do so. I buy cases, insurance, etc. and you throw that all in the sewer with the decision not to support otherwise viable hardware. WRONG MOVE. Take the $25-50 and make the drivers, if you ever want to sell me (and several others) anything ever again. This comment was removed on 2017-03-23. You think it's going to "disappoint"? Seriously? No, it's going to alienate and anger us beyond belief because you are simply too cheap and lazy and greedy to do the work that allows us to continue to use perfectly good hardware we invested good money in -- hardware that works just fine. If you told us you were LEASING it to us for a short while, we would have made other choices. If you charged us $25-50 to provide updated drivers and presets I could understand that, even embrace it. But why the **** should we throw away perfectly good hardware that we like and have already paid for? Think we're going to buy new hardware from YOU to do the same job after that? I take good care of my gear. I go to lengths to do so. I buy cases, insurance, etc. and you throw that all in the sewer with the decision not to support otherwise viable hardware. WRONG MOVE. Take the $25-50 and make the drivers, if you ever want to sell me (and several others) anything ever again. This reply was removed on 2017-03-23. Couldn't agree with you more - it's outrageous that they are not even addressing the issue when people are putting up posts complaining. Please keep me in the loop - this company deserve for people to sue them.